Over 65% of the extruded vents we manufacture annually are custom sizes. Custom size vents often cost no more than the stock size vents of similar size, and add no additional lead time. 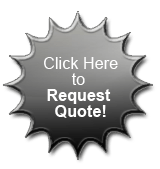 If you need a custom size vent, please call us toll-free at 1- 800-325-4115 to speak to one of our knowledgeable salespeople or complete the "Request a Quote" section above.